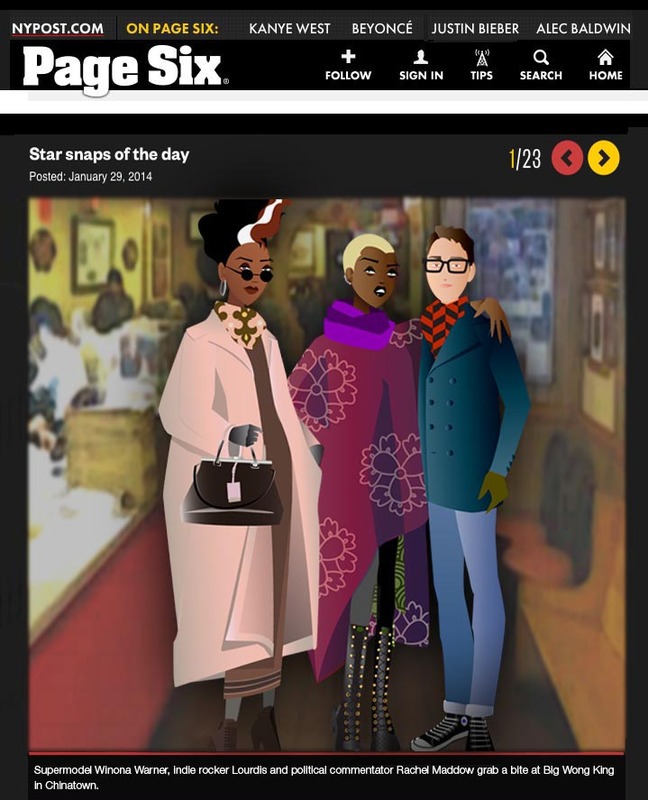 Big Wong King | Winona, Inc.
First Star Snap of the day on Page Six! Winona and Lourdis run into that tenacious Rachel Maddow of MSNBC while ordering roast duck for lunch. Winona’s coat and handbag are by Jil Sander.